40) But the other answering rebuked him, saying. Do you not fear God, seeing you are in the same condemnation? 41) And we indeed justly; for we receive the due reward of our deeds: but this man has done nothing amiss. 42) And he said unto Jesus. LORD, remember me when you come into your kingdom. 43) And Jesus said unto him. Verily I say unto you. Today shall you be with me in paradise. 1) And Saul yet breathing out threatening and slaughter against the disciples of the LORD, went unto the high priest. 2) And desired of him letters to Damascus to the synagogues, that if he found any of this way, whether they were men or women, he might bring them bound unto Jerusalem. 4) And he fell to the earth, and heard a voice saying unto him. Saul. Saul. 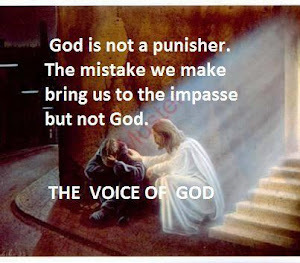 Why do you persecute me? 5) And he said. Who are you LORD? And the LORD said. I am Jesus whom you persecute: it is hard for you to kick against the goads. 6) And he trembling and astonished said. LORD. What will you have me to do? And the LORD said unto him. Arise and go into the city, and it shall be told you what you must do. 27) And the keeper of the prison awaking out of his sleep, and seeing the prison doors open, he drew out his sword, and would have killed himself, supposing that the prisoners had fled. 28) But Paul cried with a loud voice saying. Do yourself no harm: for we are all hear. 29) The he called for a light, and sprang in, and came trembling, and fell down before Paul and Silas. 30) And brought them out, and said, Sirs, what must I do to be saved? 31) And they said. Believe on the LORD Jesus Christ, and you shall be saved, and your house. 32) And they spoke unto him the word of the LORD, and to all that were in his house. 16) And when the scribes and Pharisees saw him eat with tax collectors and sinners, they said unto his disciples. How is it that he eats and drinks with tax collectors and sinners? 17) When Jesus heard it, he said unto them. They that are whole have no need of the physician, but they that are sick: I came not to call the righteous, but sinners to repentance. 20) And he arose, and came to his father. But when he was yet a great way off, his father saw him, and had compassion, and ran, and fell on his neck, and kissed him. 21) And the son said unto him. Father, I have sinned against heaven, and in your sight, and am no more worthy to be called your son. 4) But God. who is rich in mercy, for his great love with which he loved us? 7) That in the ages to come he might show the exceeding riches of his grace in his kindness toward us through Christ Jesus. 8) For by grace are you saved through faith; and that not of yourselves: it is the gift of God? 2) By this we know that we love the children of God. when we love God. and keep his commandments. 3) For this is the love of God, that we keep his commandments: and his commandments are not burdensome. 4) For whoever is born of God overcomes the world: and this is the victory that overcomes the world, even our faith. 5) Who is he that overcomes the world, but he that believes that Jesus is the Son of God? 12) It was said unto her. The elder shall serve the younger. 13) As it is written, Jacob have I loved, bud Esau have I hated. 15) For he says to Moses, I will have mercy on whom I will have mercy, and I will have compassion on whom I will have compassion. 9) And it was so, that when he had turned his back to go from Samuel. God gave him another heart: and all those signs came to pass that day. 10) And when they came there to the hill, behold, a company of prophets met him; and the spirit of God came upon him, and he prophesied among them. 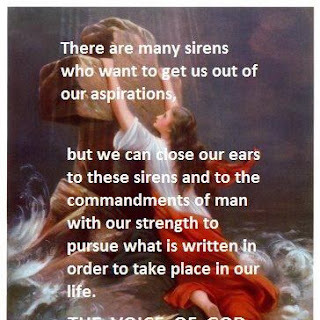 1) And the LORD said unto Moses. See, I have made you a god to Pharaoh: and Aaron your brother shall be your prophet. 2) You shall speak all that I command you: and Aaron your brother shall speak unto pharaoh that he sends the children of Israel out of his land. 3) And I will harden pharaoh’s heart, and multiply my signs and my wonders in the land of Egypt. 1) And they came over unto the other side of the sea, into the country of the Gadarenes. 2) And when he came out of the ship, immediately there met him out of the tombs a man with unclean spirit. 4) Because he had been often bound with fetters and chains, and the chains had been wrenched apart by him, and the fetters broken in pieces: neither could any man subdued him. 5) And Simon answering said unto him. Teacher, we have toiled all the night, and have taken nothing: nevertheless at your word I will let down the net. 6) And when they had done this, they enclosed a great multitude of fish: and their net broke. 7) And they beckoned unto their partners, who were in the other ship, that they should come to help them. And they came, and filled both the ships, so that they began to sink. 8) When Simon Peter saw it, he fell down at Jesus knees, saying, depart from me; for I am a sinful man, O LORD. 13) Who were born, not of blood, nor of the will of the flesh, nor of the will of man, but of God? 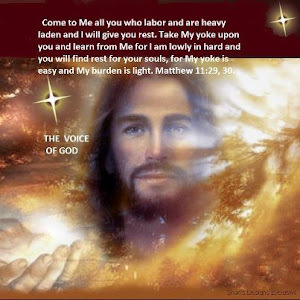 3) Blessed be the God and Father of our LORD Jesus Christ, who according to his abundant mercy has begotten us again unto a living hope by the resurrection of Jesus Christ from the dead. 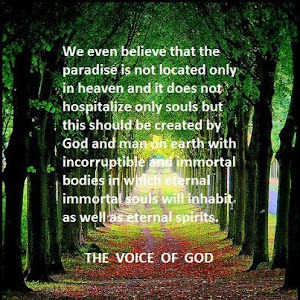 4) To an inheritance incorruptible, and undefiled, and that fades not away, reserved in heaven for you. 17) Every good gift and every perfect gift is from above, and comes down from the Father of lights, with whom is no variableness, neither shadow of turning. 18) Of his own will begat he us with the word of truth, that we should be a kind of first fruits of his creatures. 8) Jesus Christ the same yesterday, and today, and forever. Αναρτήθηκε από NIKOS στις 8:10 π.μ.